Even as the Lucasfilm casting department busies itself trying to find just the right young actor to reembody Han Solo in a potential string of Star Wars Anthology films, Steven Spielberg is echoing the sentiments of producer Frank Marshall and insisting that Harrison Ford’s other iconic action role will remain his in perpetuity. 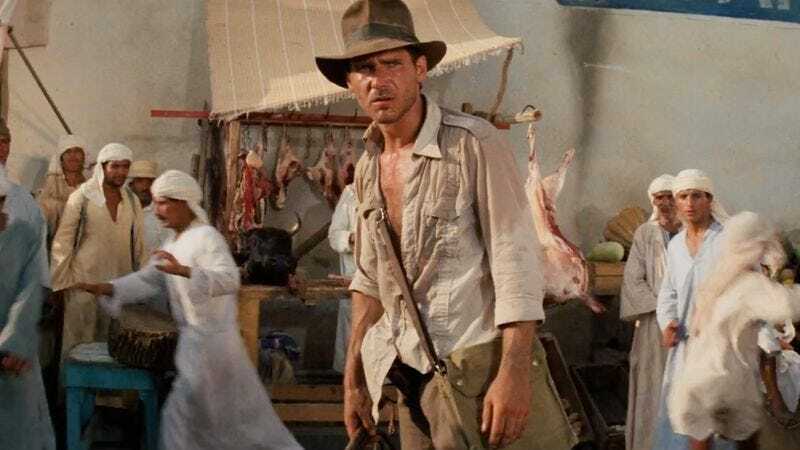 As comforting as it may be to know that cinema’s favorite aging archeologist will not be getting a dank makeover for Generation Founder, the lingering memory of Indiana Jones And Crystal Kingdom Of The Alien Skull or whatever forces some questions about the series and whether it might have run its course. Like, for example, why does Spielberg remain so into the idea of a fifth film despite its star being in his mid-seventies?